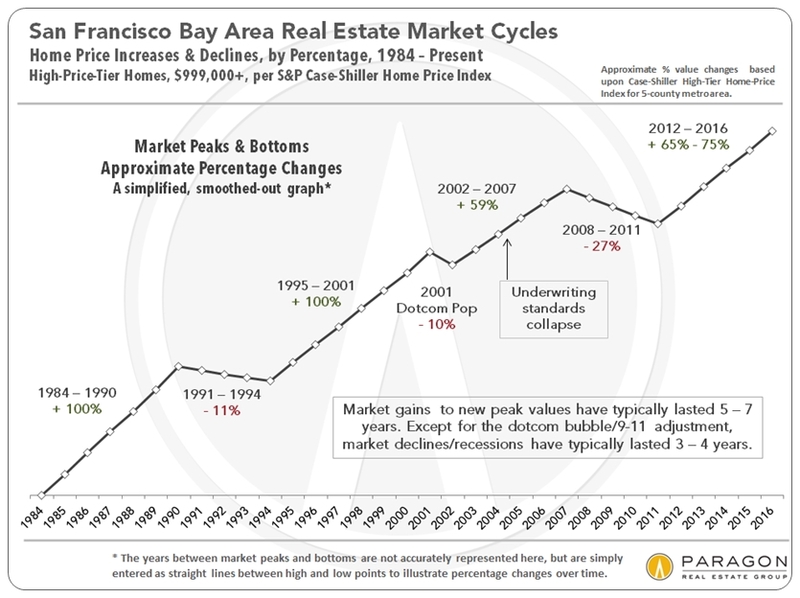 The first chart below is a simplified graph based on the Case-Shiller Home Price Index illustrating percentage increases and decreases in prices for Bay Area houses in the higher-price tier. 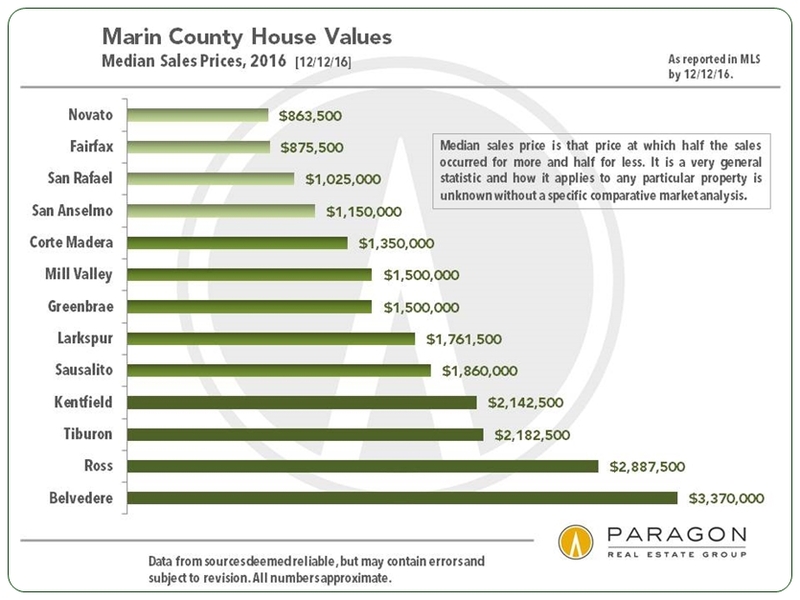 The markets in Marin, San Francisco and San Mateo are generally dominated by high-price-tier home sales. All the short-term fluctuations up and down have been removed so that the chart only reflects major turning points in the market.